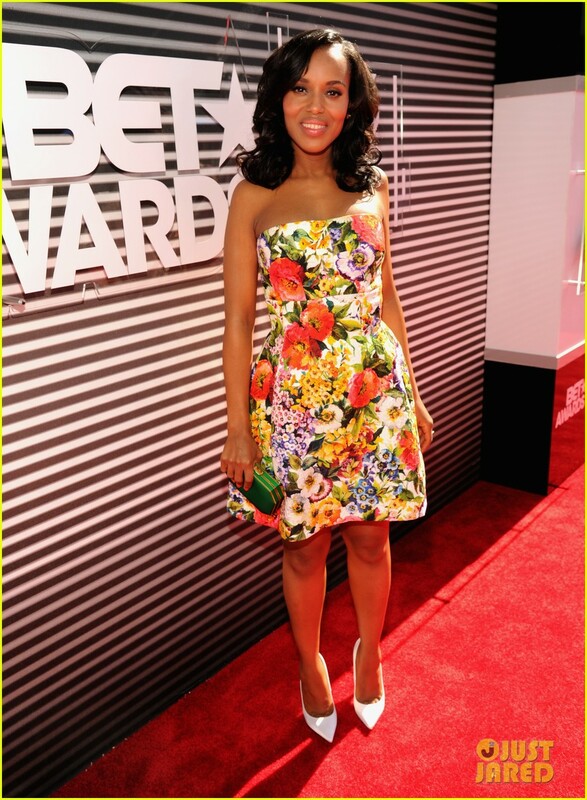 A mere two months after giving birth to daughter Isabelle, Kerry Washington looks stunning on the red carpet at the 2014 BET Awards in a floral Dolce & Gabbana. The 37-year-old actress was nominated for Best Actress for her work on the ABC drama Scandal. Kerry got her start acting on television, then went on to act in a number of movies from Save the Last Dance and Ray to Quentin Tarantino’s Django Unchained. Her role as Olivia Pope in Scandal has earned her a number of awards and nominations, including Outstanding Actress in a Drama Series at the NAACP Image Awards and the NAACP President’s Award. In addition to her acting, Kerry’s wardrobe as Olivia Pope has attracted attention and Vanity Fair even named her one of The Top Ten Best-Dressed TV Characters in 2013. Earlier this year, Time magazine included Kerry in its annual TIME 100 “Most Influential People in the World.” As smart as she is beautiful, the actress graduated Phi Beta Kappa from George Washington University with a double major in Anthropology and Sociology. Kerry is married to NFL player Nnamdi Asomugha. 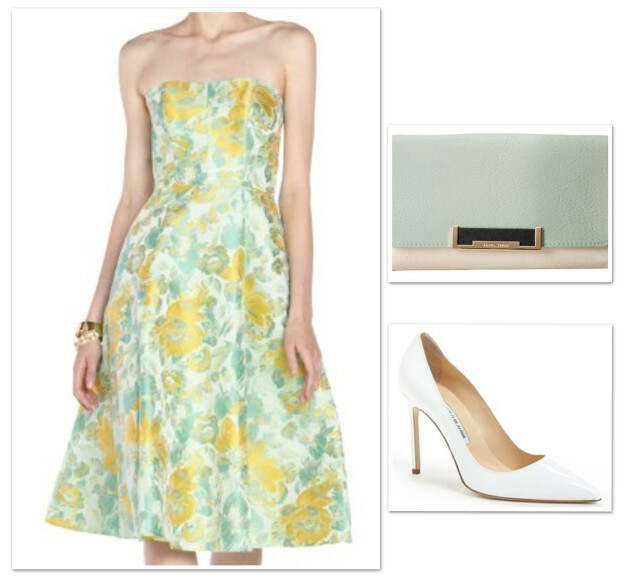 Here is MSL’s version of her feminine floral look for less — perfect for summer special events, from luncheons to weddings.